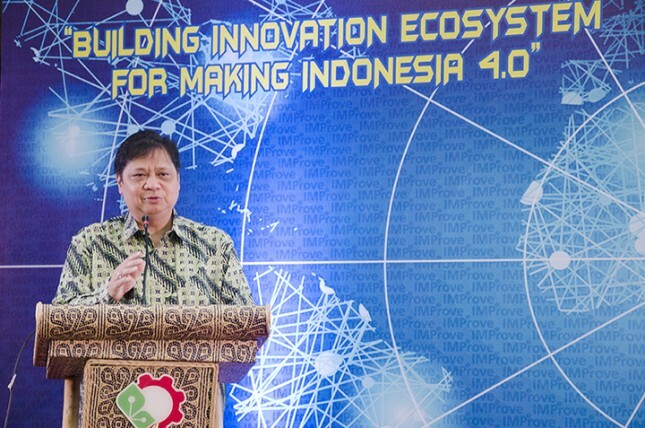 INDUSTRY.co.id - Jakarta, Minister of Industry (Menperin) Airlangga Hartarto assured investors and Singaporean businesses to increase their investment in Indonesia. This was revealed by the Minister of Industry Airlangga when he became the Keynote Speaker at the Indonesia Forum 2018 event: Evolving Political, Economic and Business Environment Going into 2019 in Singapore, Friday (9/21/2018). According to him, a number of indicators indicate that the Indonesian economy is very strong, with an average growth of 5.17 percent. In addition, in the midst of the development of the digital economy, Indonesia currently has four digital startup companies called unicorns or has a market capitalization of more than USD1 billion. "They exploit the potential of millennial generations. An example is Zaky, founder of Bukalapak, which currently has 4 million vendors and 20 million site visitors," he said. The government targets to create as many as 1,000 technopreneurs with a business valuation of USD10 billion and the value of e-commerce reaches USD 130 billion in 2020. Meanwhile, by 2025, the value of e-commerce in Indonesia is projected to be USD150 billion. This potential is considered to be able to grow small and medium industries (IKM) in the country. Therefore, the government has provided fiscal policy for SMIs, such as final income tax of 0.5 percent. "We will continue to make it easier for SMIs to develop into the next generation of business people," Airlangga said. Minister of Industry believes that the 4.0 industrial revolution opened up many new job opportunities, especially those engaged in the digital field. "So, we can shape a new economy into an innovation ecosystem," he explained. An example is the incubation of startups conducted by Apple Developer Academy in Tangerang. "In addition, Apple is committed to opening a similar innovation center in Surabaya and Batam. They will graduate as many as 400 people in the one-year program, "he said. Meanwhile, the Indonesian Ambassador to Singapore Ngurah Swajaya said that currently Singapore investors are still prioritizing Indonesia as the main investment destination. "The political situation is relatively stable, and a strong democratic process is expected not to reduce investor interest to continue to invest in Indonesia," he said. In addition, Ngurah also emphasized that the leaders of both countries have committed to continue to enhance mutually beneficial cooperation with concrete results that can be felt by the people of both countries. "For example, development in the manufacturing industry sector," concluded Ngurah.